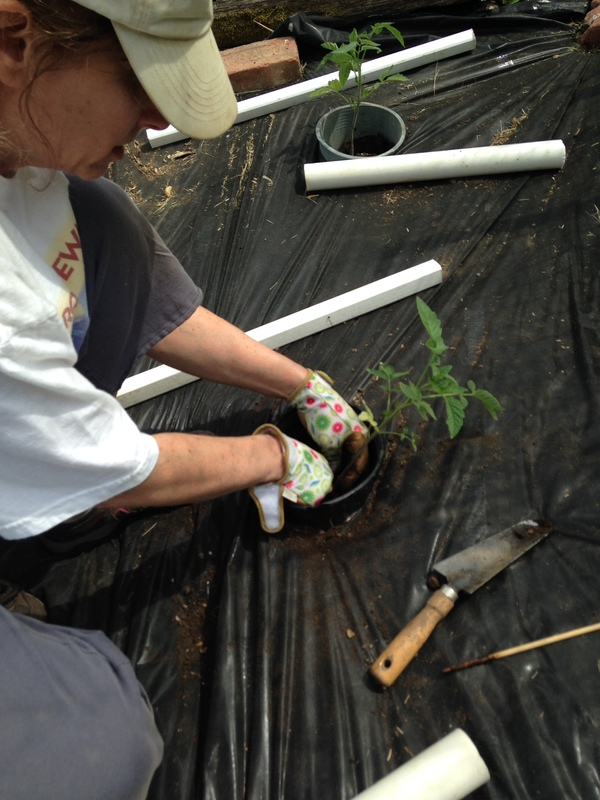 As discussed in the last episode, this past week we prepared the soil for the tomato bed and then this weekend we planted the tomatoes and peppers. Another warm weather crop is the eggplant. We usually plant these at home because the farm plot suffers from small black mites that eat the leaves of the eggplant down to a stud. By planting at home on our composite deck, the plants roots stay toasty warm and there are no mites around here to damage the leaves. 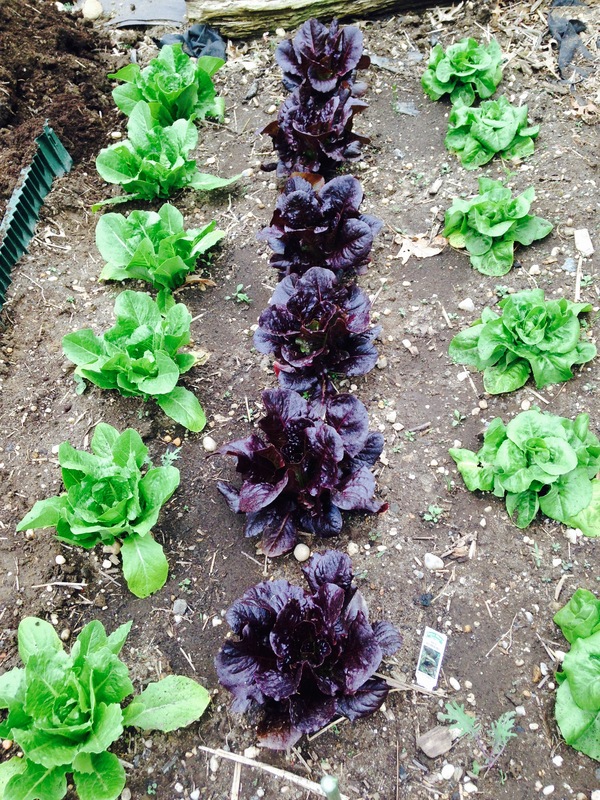 This year we planted a Japanese variety (ichiban) two black Italian types and a purple variety. We did some research with long time farmers and we found that these nasty little dudes morph into a flying insect of some sort and are usually done by mid June. If you don’t have a convenient deck to grow your eggplant, just wait till the middle of the month when they are gone before you put your plants in the ground. 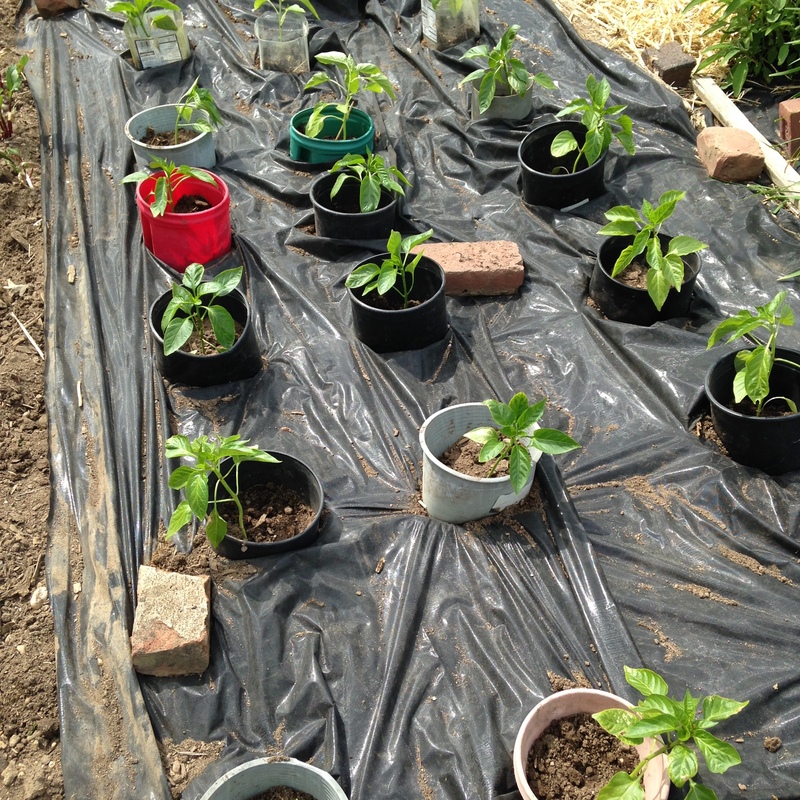 Time to plant your peppers as well. 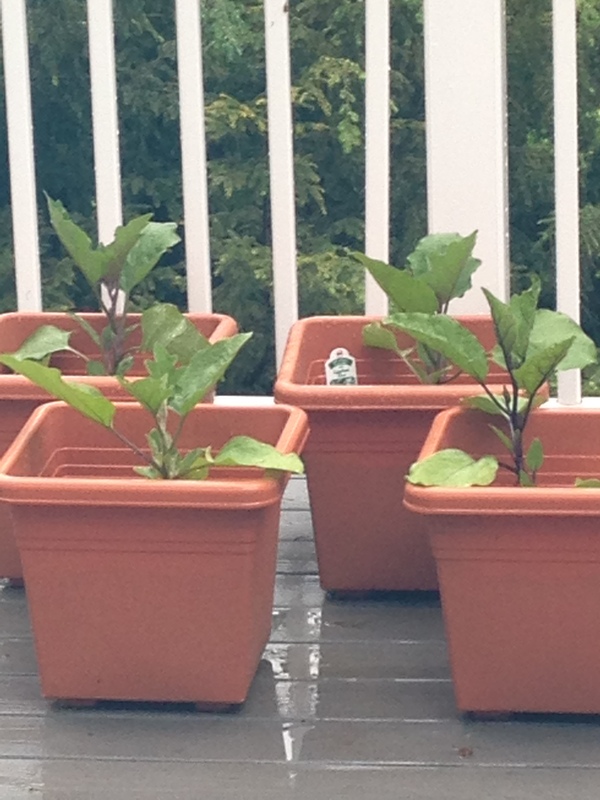 We like to plant our larger growing vegetables in plastic containers with the bottoms cut out. This serves to collect the rain water, and the water from our hoses, in a concentrated area above the roots making sure the plants get a good soaking drink. While the warm weather plants are going in now, there are some of the earlier cool weather crops reaching their prime time. 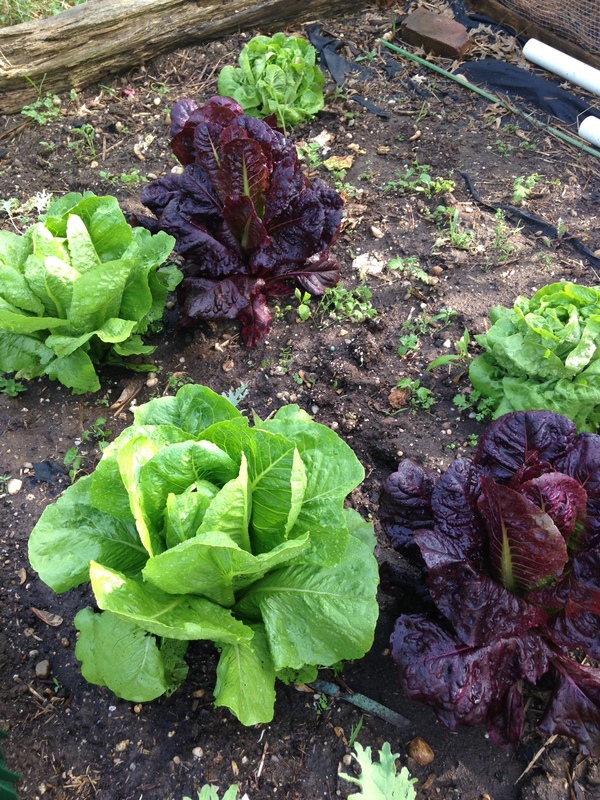 The lettuce has been great this year and the snow peas are getting larger everyday. 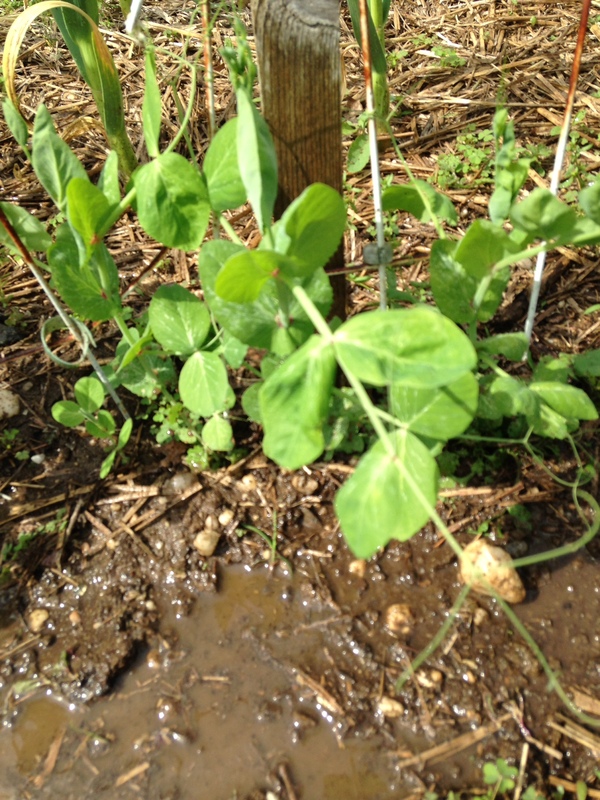 Peas will be appearing withing 10 days. 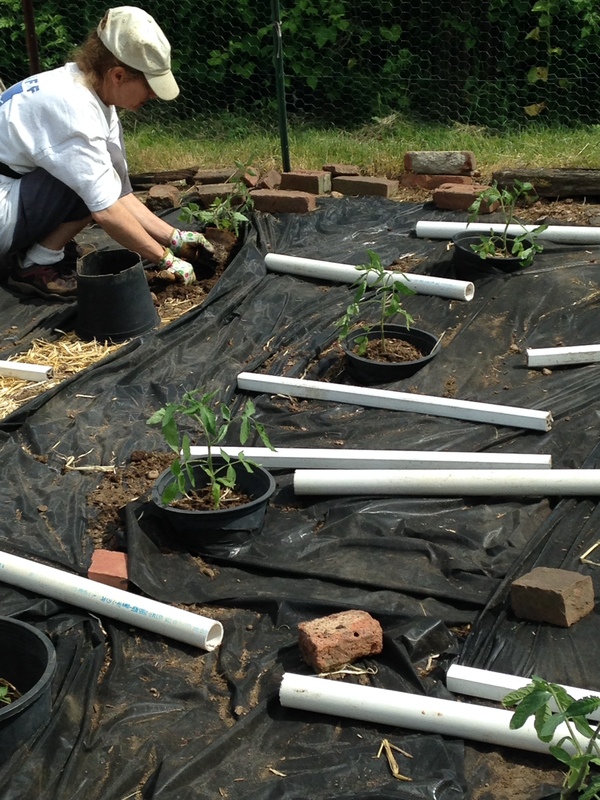 It’s important that you keep your vegetable plants well watered during the warmer months. 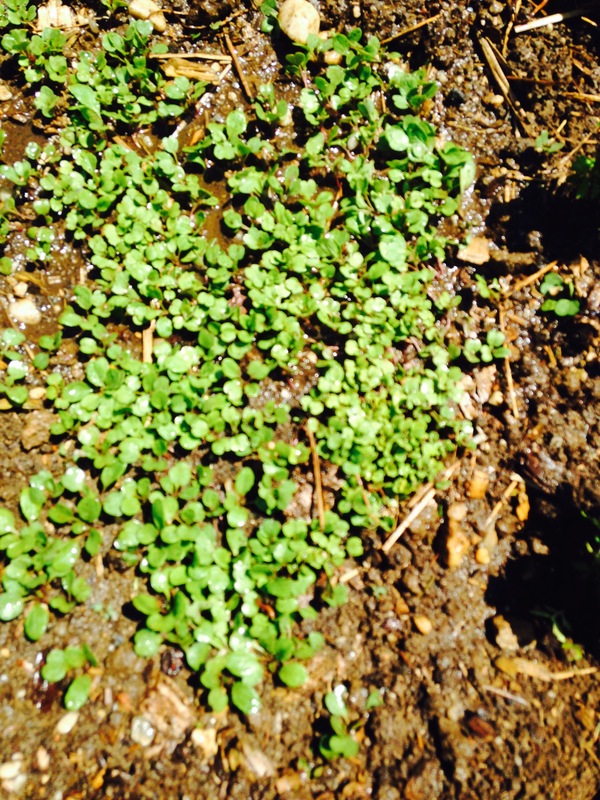 It is best to soak the plants early in the day or later in the afternoon after the strongest heat has subsided. 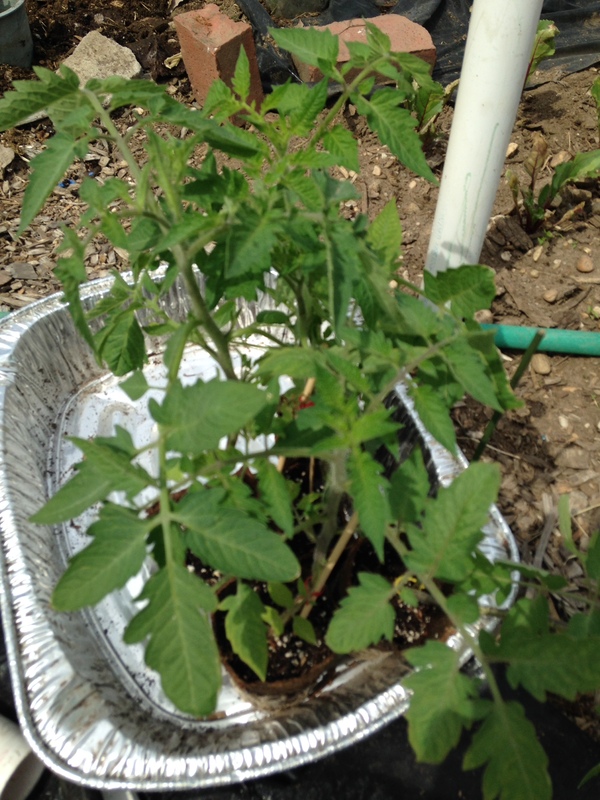 This gives the water a better chance to soak into the ground rather than evaporate. 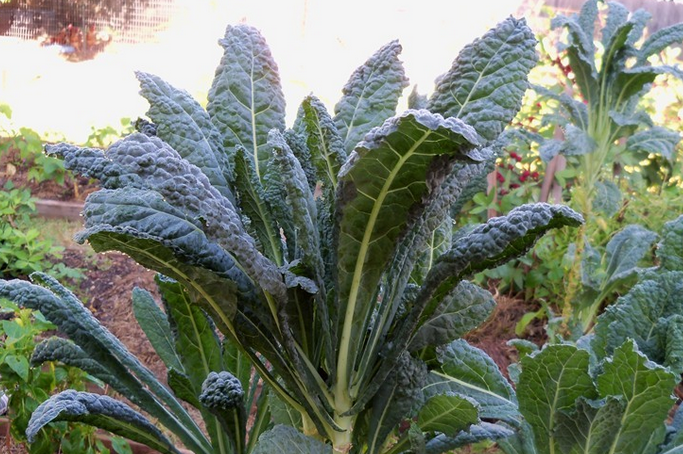 This year we planted Dinosaur kale, an hierloom italian variety that tastes great in smoothies, in soup, salad and in a pan with garlic and oil. 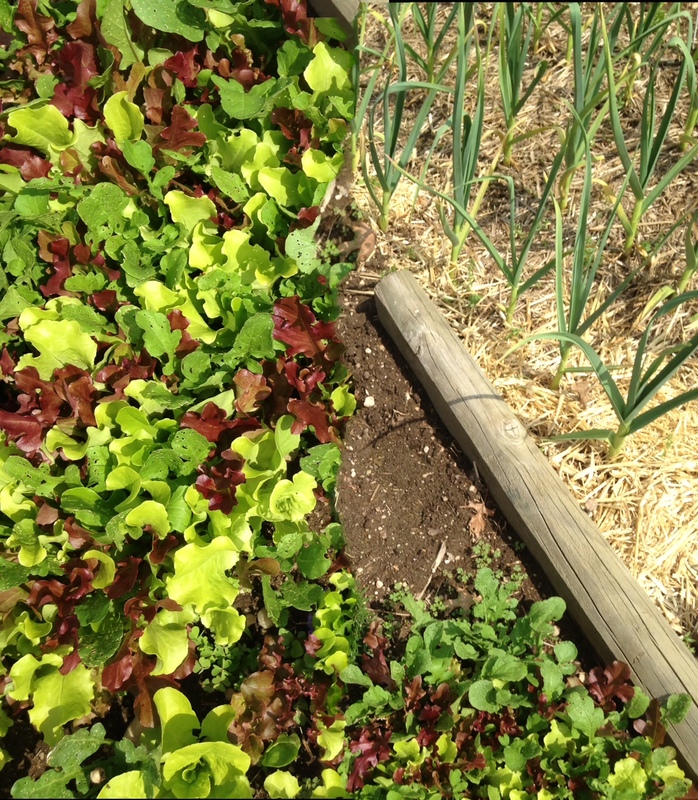 It’s a cool weather crop that keeps rolling along when the summer heat arrives. 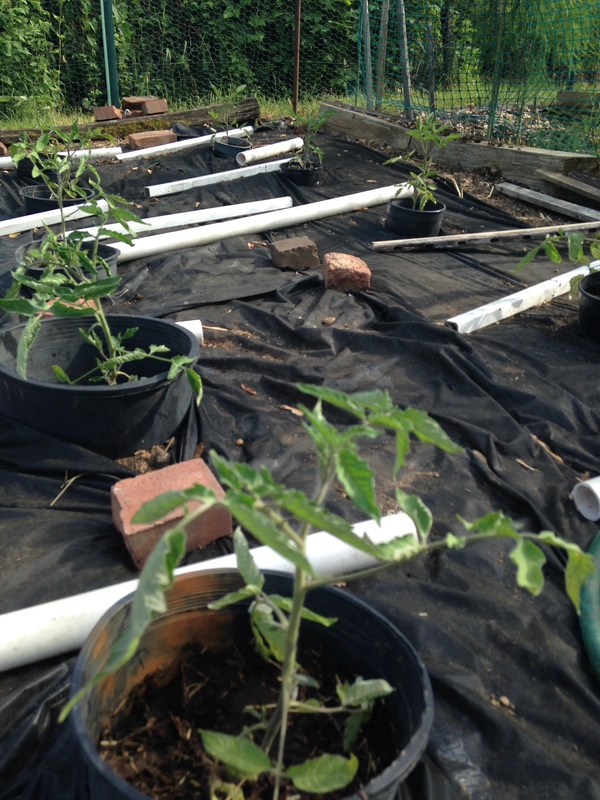 This entry was posted in Gardening, Growing Vegetables and tagged Eggplant, Herb, Leaf vegetable, Loose leaf, Tomato. Bookmark the permalink.